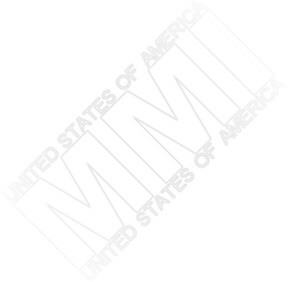 To access your Alignment Menu, you must build a plug that plugs into the microphone jack of the radio. Wire it so pins 1,4, and 6 are shorted together. Once in the menu, remove the special plug. Use [D/MR] and [A/N] to navigate through the menu. To make radio accept setting, hold [MHz] for one second. For S-Meter adjustments, use the RF signal generator set for 1kHz tone at ±3.5kHz deviation. For Squelch adjustments, no modulation. To save the settings, short pin 6 to ground. Now your changes will be saved. Special thanks to Lorne VE1BXK for this info. It is suggested that you refer to the "FT-2600M Technical Supplement" provided by Vertex Standard. I am not responsible for any damage you may cause your radio. 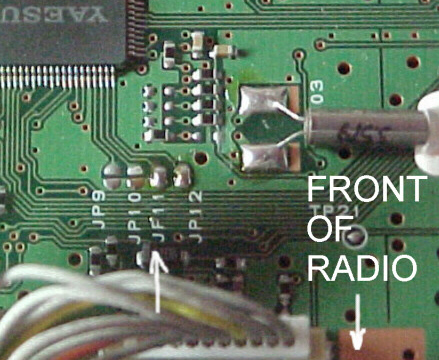 The Mic Switch lines are signal outputs from the microphone to control some functions of the radio from the mic end. This is done by changing the voltage on each line to a specified value. The following table shows which function corresponds with which voltage level combination. 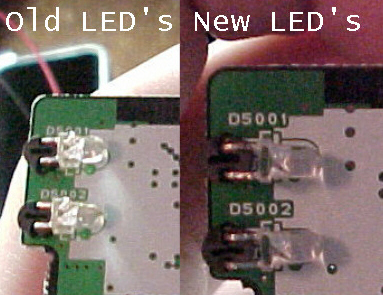 The labels "Mic Sw1" and "Mic Sw2" are swapped between the actual mic connector and the CPU pinout. The labels listed below are according to the socket pin diagram. The levels listed below are those measured from my radio only. Turn the FT-2600M off and remove the DC power cable. Remove the 5 screws securing the top cover and carefully remove it. Locate and remove JP1011 (near Q1049) as shown above. Press and hold [A/N]+[D/MR]+[MHz] while powering up to reset the µP. 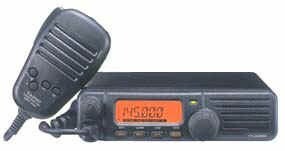 Note: When modified, this radio will not be able to clone with other unmodified radios. Perform this mod at your own risk. I am not responsible for any damage you cause your radio. This mod may also void your warranty with Yaesu.